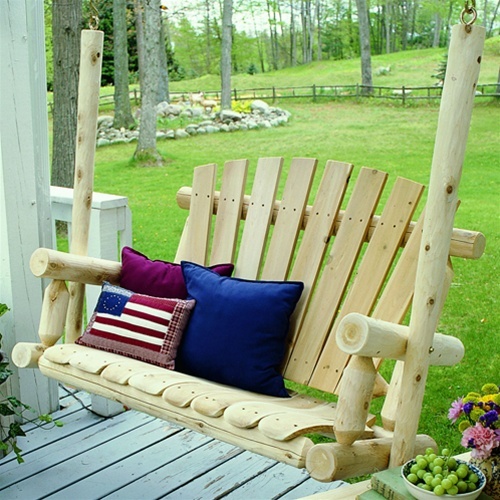 Cedar Log Porch Swing | CF1123 | Free Shipping! Price is for swing only, table not included. Our model CF1123 4' Porch Swing is made from 100% solid cedar. 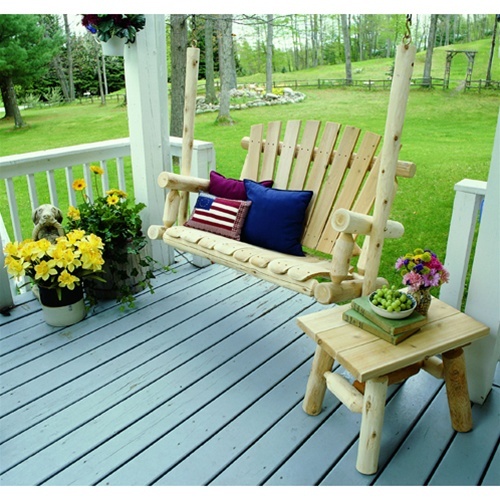 The look of Cedar Log Furniture is rustic, and the feel is solid and comfortable. A by-product of the log home industry, the material in our log furniture is a renewable and environmentally safe resource. Since cedar is naturally resistant to rot and insect infestation, you may be assured of many years of useful service. The natural finish will darken to a silvery gray when left outside to weather. However, a quality exterior grade penetrating sealer may be used for added protection and to maintain the bright appearance if desired.